Welcome to another week of #LittleLoves, where I share what I’ve been loving over the past week. I’ve whizzed through the latest Holly Bourne, been moved by a TED Talk and listened to an old favourite. Check out the highlights. 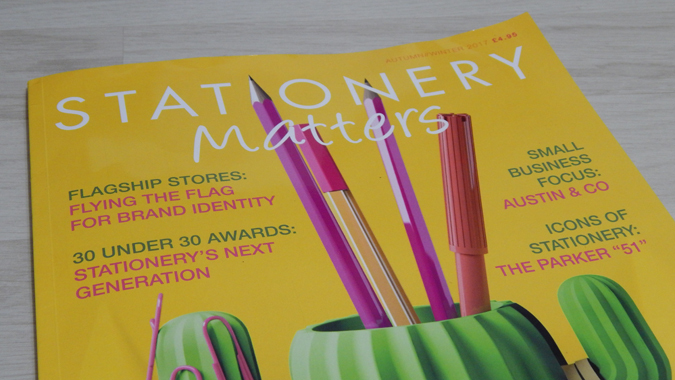 Read: It Only Happens in the Movies and Stationery Matters. I freaking love Holly Bourne and have read all of her books so I was so happy when Luke told me he’d ordered me her latest. True to form, it’s full of teen angst and pop culture references and is so damn relatable and moving. It’s about a girl called Audrey who is working on a Media Studies project taking down traditional romantic movies after her parents divorce and her own relationship falls apart. Then she meets this guy. This guy who is so wrong on paper but makes her feel so right. As a former film and media student I loved all of the references (and Holly’s own list of favourites at the back of the book – gal has taste!). I also loved the frank gal pal discussions and genuinely realistic portrayal of young womanhood – I totally needed this book ten years ago! 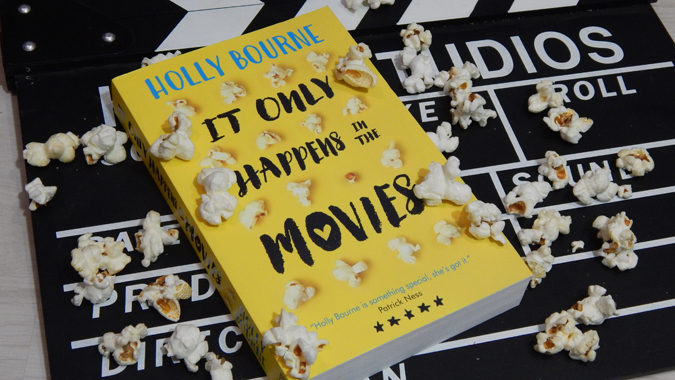 Holly is so on it when it comes to young adult books and I’m looking forward to reading her first book for ‘grown ups’. 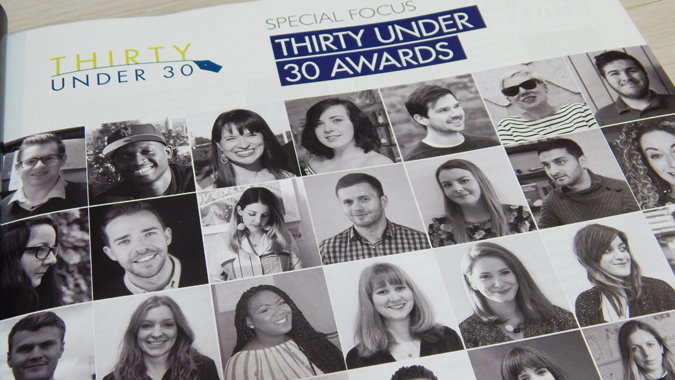 I nearly squealed when Stationery Matters arrived the other day as I feature in the 30 under 30 piece. Plus, nerd that I am, I devoured the rest of the magazine cover to cover. There are so many awesome products that I want to try and the features have provided a lot of inspo for future blog posts and stationery adventures. I’m still gutted that I can’t attend the Manchester Stationery Show but am already working on attending the London Stationery Show in April. Watched: Friends in College, Crazy Ex-Girlfriend and We Should All Be Feminists. After last week’s plea to find a new Netflix show to binge on, I finally found one! After ditching Friends in College after an episode and a bit I was soon hooked on Crazy Ex-Girlfriend. If you’ve not seen it, give it a go. It’s about a girl who quits her job and moves across the country after bumping into an ex. I already want Rachel Bloom to be my new best friend (does she remind anyone else of Emma Stone?) and the songs are awesome – I’m tempted to download the soundtrack. I seriously recommend it for some light-hearted evening entertainment. It’s a bit Flight of the Concords meets La La Land. That totally sells it, right?! We were shown the TED Talk We Should All Be Feminists at work this week and I freaking loved it. I’ve had the book on my wish list for a good year and hadn’t seen the video because, well, y’all know I’d rather skim something than invest time in watching a YouTube video. But holy crap, I’m glad I saw it. I found what Chimamanda Ngozi Adichie had to say really moving, relatable and impactful and I immediately warmed to her. I’m gonna check out her other work too. Heard: The Shins. My colleague asked for any music requests the other day and I was hard pressed to think of a band/singer I really like these days. I thought back to the music I used to listen to on repeat and couldn’t remember the last time I’d heard The Shins, so I requested Oh, Inverted World. Man, I love those guys! It took me right back to my late teens/early 20s and watching The OC and Garden State. Made: Mulled wine. First of all, it’s never too early in the year for mulled wine. Secondly, it was for a good cause. I can’t very well review a hamper and not sample the goods now, can I? 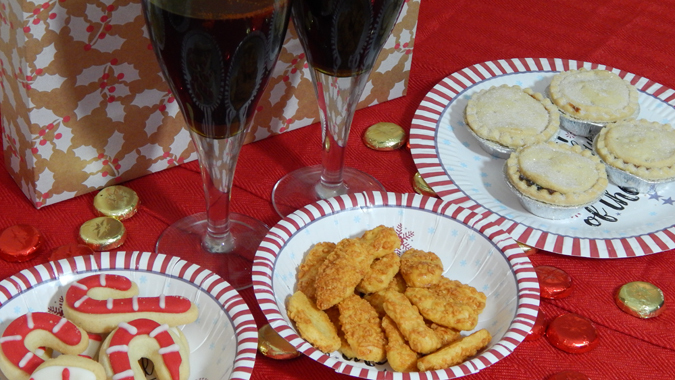 Speaking of which, be sure to pop back on Monday for the ultimate Christmas gift guide and giveaway! Wore: A dress! My oldest friend got married last week and the three of us went along to the evening do for a bit (Jenson was asleep before we got there!). I don’t don a frock very often these days so it made a nice change. 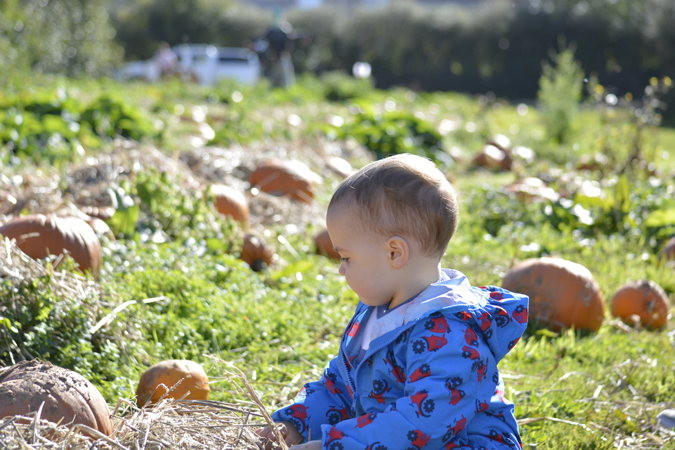 And lastly: We took Jenson back to the Trevaskis Farm Pumpkin Patch and Luke got a few gorgeous snaps. Most of them will pop up in his next monthly update but here’s a peek at a cutie. I hope you all have a lovely weekend! We don’t have anything special on but hopefully there’s an adventure or two to be had. What a fantastically jam packed Little Loves, Emma! I’m so pleased you’re enjoying Crazy Ex Girlfriend, it’s such a fun show and I’m so glad it’s back on Netflix with new episodes. The Shins are so good, and like you whenever I listen to them I’m reminded of that time in my life where I watched The OC and was obsessed with Garden State. Good times! Crazy Ex Girlfriend is SO good! I really disliked Friends from College so not surprised that like me, you also abandoned it! 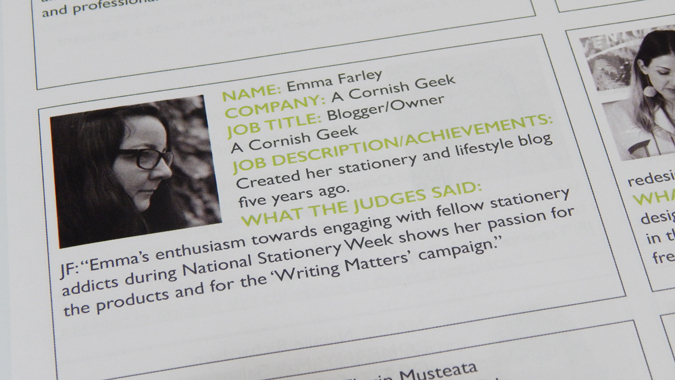 Congrats on the feature in Stationary Matters, too :)! Ta bird :) I was sooo disappointed with Friends From College. No wonder it wasn’t picked up for a second season.